I absolutely love this quote! It perfectly sums up my feelings about style. 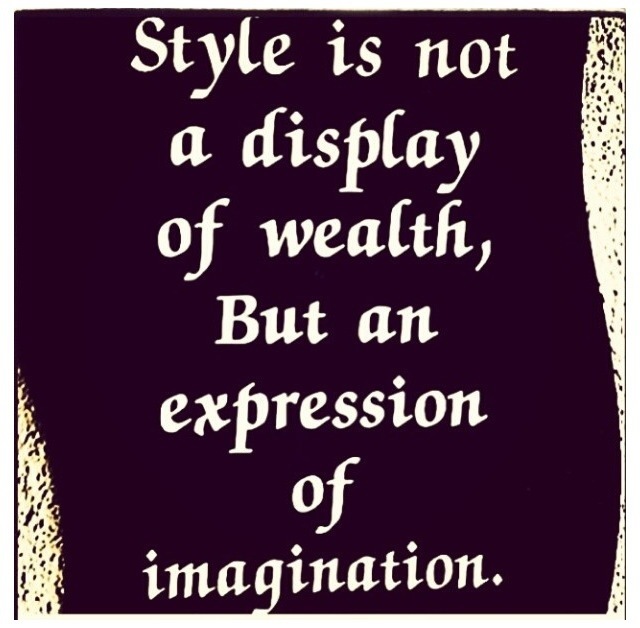 Show your imagination, not your wealth. Great style does not have to expensive! Let me know if you you can identify the origin of this great quote! A very true statement.. I can’t remember how many fashion trends I’ve missed simply because I can’t bring myself to wearing the currently trendy items. I have a excel spreadsheet that I keep track of my conopus. I have a different spreadsheet for each category (personal, home, breakfast, lunch, dinner, snacks and extras) I enter coupon name, worth, expiration date and date used. I then have the same categories labeled in my wallet sized tote that I bought at wal mart for 3.88. It looks like a wallet but, it is plastic and has several dividers. I have my conopus in ABC order so, it is very easy to find what I need especially, in those unexpected times I find deals at the store.